As someone who has practiced for years, and has read a lot about meditation – both the “old school stuff” from Buddhist and Vedic traditions, as well as modern mindfulness and new age movement – I still see a lot of misconceptions and myths about meditation. Some of these myths are obvious stuff that nowadays is not so commonly believed anymore (like “meditation is only for religious people” and “meditation is fighting with the mind”). Others are more subtle, and commonly believed to be true, such as: “meditation is effortless”, “meditation is all about calming the mind” and “meditation is supposed to make you feel good”. Some of these points are controversial – so I won’t be surprised if heated up discussions happen in the comments. If you have already been reading about meditation for a while, you can probably skip the first section, and go directly to the “Misconceptions of Method”. Meditation is a very old practice, and it was indeed created/discovered within religious contexts, with the purpose of achieving spiritual goals. 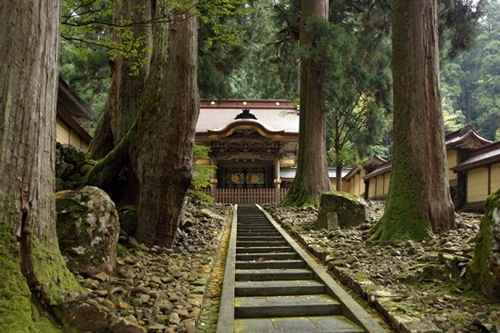 However, for most techniques – especially as practiced in the West – there is nothing essentially religious about them. In other words: you can practice meditation without needing to believe in anything. A Christian or Muslim can practice it, without any conflict with their own faith. The same goes for atheists and agnostics. Practicing meditation will not make you religious, just as doing stretches will not make you a Yogi. Many people practice meditation exclusively for health and well-being benefits. No, no, no. 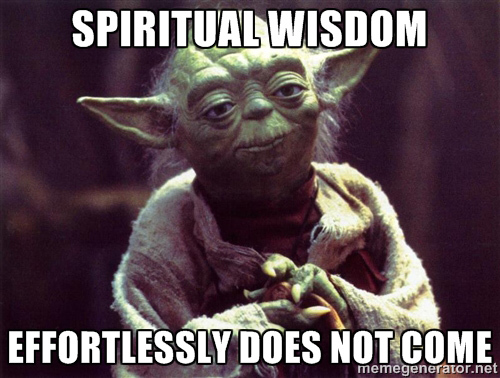 As explained above, meditation is not necessarily a religious practice. Those that practice it within a religious context may add these extra elements to it – and they may even find them helpful – but they are not essential to meditation, and can be distractions. I have practiced meditation with these elements (incense, clothes, some ritual), when I was following Zen Buddhism. At that time I found that they helped to create a different atmosphere for the mind, and improve focus. Yet, on the past 10 years I have no special element around the practice – I just sit on a cushion, in the corner of my room, usually in pajamas. And my meditation is even deeper than before. So, these things are not needed. Use these elements if you like, and if you find them helpful. To do seated meditation, all you need is a place where you will not be interrupted. Of course, a clean and quiet room is better, but not a requirement. When I meditate a bit late in the mornings, especially on the weekends, there is usually noise from neighbors. Sometimes there is even loud music, or heated up discussions. I then accept my environment, without resistance or annoyance, and find that the noise does not bother my practice at all. Sometimes it even helps me be more present, and enjoy more the inner silence (because it gets contrasted to the outside noise). Besides, with time you will get the ability to meditate anywhere – on the bus, at your workplace, in a pub, wherever you are. Research shows that meditation brings great physical and mental health benefits after even as little as 8 weeks of practice (read more here). Of course, a Buddhist monk with 30 thousand hours of meditation will have reaped more benefits than a person who started doing 10 minutes of daily practice one month ago. Meditation has many levels of benefits. If you want to attain enlightenment, or be in a fearless state beyond all suffering, then yes, it will take a while. But if all you want is better health, a bit more peace and balance in your life, you can start having that in a few weeks. Another way of looking is that meditation’s benefits are immediate. The practice itself is the benefit. You will usually feel better after all your meditation sessions – more relaxed, more focused, more rested. And it’s free; all it costs is your attention. That is like saying that going to the gym will make you want to become a professional powerlifter. In the world there are probably more people who meditate and lead a “normal life” than people who meditate and live in a monastery or ashram. Is your breath a Christian breath or a Buddhist breath? How can paying attention to your breath, or repeating a sound in your mind, be anti-Christian? There are thousands, if not millions, of Christians that meditate. If your goal with meditation is simply health improvement and some relaxation, then you don’t need a teacher. Learning from a book, video course, or workshop can be enough. Then you can go on by yourself. However, if you wish to go deeper with your practice, if your goal is emotional healing/balance or spiritual growth/transcendence, then the presence of a teacher is a huge help on the way. 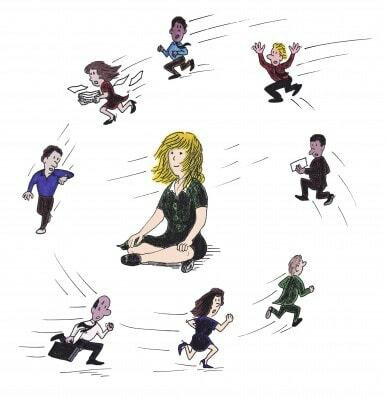 Meditating in a group, or being in contact with more experienced meditators, can definitely support your practice. Check out this guide in finding a good teacher. Also, if you are still experimenting with different techniques, then talking to other practitioners and attending meditation meetings – Vipassana retreats, Zen centers, Yoga Meetups, etc. – will also help you get a better feel if that type of meditation is for you. Meditation is no more selfish than eating, sleeping, or taking shower. It is an essential daily activity that human beings need to be able to live fully and function effectively. Yes, it is done alone, and yes, it does not “produce” anything tangible. Yet what you get through the practice will positively affect those that interact with you and the output of your efforts, in your personal and work life. Anyone that has done meditation for a decent length of time knows that it’s the other way around. Meditation makes all the stuff that you are trying to run away from – in your life and in yourself – painfully clear. For escapism you need something that gives you either distraction (like TV, social media, games) or unconsciousness (like alcohol and drugs). Meditation removes all distractions, and gives you heightened awareness, so it’s not really an escape plan. If you start meditation with a “run away” attitude, you will probably be disappointed very soon. Everything you try to escape from is right there, in your mind, waiting for you. It’s actually harder to escape our own shadows once we are in meditation. That is actually the reason some people find meditation so hard, especially in the beginning: all the not-so-pretty stuff we’re hiding or ignoring surfaces up. On the other hand, it is true that some people do try to use meditation to avoid looking at their problems. Once they get skilled enough in the practice, they are able to bring their attention to a peaceful place, inside their consciousness, which is beyond all problems. (Shame on them, right?). However, the blame is on their attitude, not on meditation. Meditation simply gives them a tool to control mind and attention; what they do with it is their choice. It’s just like saying that money is bad because it makes one selfish and evil – it doesn’t. It simply amplifies the personality traits that were already there, positive or negative. Meditation helps you to know yourself, to see things more clearly and to control your mind. If you use this “power” to turn the blind eye on things that need real action outside yourself, don’t blame it on the practice. Conclusion: meditation will not make you run away from your problems… It will take you to a place that is deeper than them. From there you will emerge with the needed clarity and resources to meet them skilfully, if you so wish. Relaxation is one of the basic effects of meditation; also, to a certain degree it is one of its conditions. Relaxation is releasing the tensions on the body, and calming the breath. Meditation uses relaxation coupled with regulation of attention (one-pointedness), and introspection (looking inside rather than outside) to drive you to deeper states of consciousness. So next time you listen to a guided meditation and all that happens is a body-scan, know that that is mostly relaxation (perhaps with some mindfulness), but not meditation. There is nothing wrong with that – it does help to relief stress. But meditation goes deeper, and serves also to prevent stress to happen in the first place. Relaxation is an appetizer; meditation is the main course. Self-hypnosis is normally induced by verbal self-suggestion (spoken or in the mind), where you are directing yourself to think, see, and feel certain things. It makes use of imagination and of the creative power of the mind. You use affirmations, imagination and visualization to create a certain state of mind. It works from within our conditioning, and its purpose is to alter our mental states. Many of the “guided meditation” videos and audios out there are mostly a type of self-hypnosis or relaxation. This is not what meditation is about. In meditation we normally don’t use imagination or evoke emotions (except for some types of meditation, like Loving-Kindness). We focus our attention either on a particular object (focused attention meditation), or on observing the reality of this moment, without any attempt to add to it or alter it (open monitoring meditation). We may add some visualization to it to engage our mind more fully, but the purpose is to make the mind quiet and one-pointed, and not to take it through a journey in the subconscious imagery. Meditation is for perceiving reality for what it is. It brings insight, realization, silence of mind, and breaking free from our conditioning. Purpose Create a state of mind or experience, potentially for manifesting something in your life or for healing; in some cases the purpose is to arrive at a state of unconsciousness, where messages can be received more deeply inside you Perceive things for what they are; dive into deeper states of consciousness; pacify the mind. Healing and manifesting happen as side effects, as you become more free from your conditionings. There is a lot of misconception around meditation and effort, even among people that meditate for some time. I could write a whole post just on this point (and one day I might), but here I’ll just touch it briefly. I know my views on this will not win me many friends, but I feel I need to share them. Most people want fast results, shortcuts, and easy paths. So they are attracted to an approach that says that meditation is easy and effortless. It’s the “new agey” approach to meditation. It works as well, and can be a great start – especially for people that are very stressed – but in the long-term the results are shallow. An effortless approach will tell you to not to concentrate. It will tell you not to try to do anything with your attention, but to simply bring to mind, “effortlessly” a mantra from time to time, and to allow the attention to be occupied/absorbed in any thoughts that naturally occur. The mind has the opportunity to “vent” and slowly calm down, exhausting its contents. Actually, this is how my own meditation looked like, back in the day, in my first two years of practice – and I was already having benefits and enjoying my practice then. So I know it gives deep rest, and can be enjoyable. Yet the effects of this approach is different than that of concentration meditation, or mindfulness meditation. To better understand the difference, let’s have a look at our brain. The default mode network of the brain is the part that is activated when our mind is wandering, ruminating, thinking about our life, what happened to us, worrying about the future, etc. Basically, it represents our ego – our self-referential obsession. Concentrative practices decrease the activity in that area (meaning that there is less mind wanderings, less noise), while “effortless” types of meditation increase it (see this research). This should not be surprising, since in these practices the mind is not checked, and allowed full room to run wild. I see these “non-directive” forms of meditation useful only for the sake of starting your journey, and helping you process some emotional material. I would recommend it only in the cases of people that: (a) are too stressed or psychologically “noisy”, as a start practice for a few weeks/months, until they are ready to start learning to regulate their attention and mind; (b) or that normally practice a focused attention or open monitoring meditation, but in some days their mind is too unruly, so this non-directive approach can be used in the first minutes of meditation (or maybe that whole session) to allow the mind to settle down and partially exhaust its contents. If you are hungry and you eat fast food, your hunger will be quenched. On the other hand, if you want real food, do expect that it will take time to be cooked, and that your taste buds may not like it as much in the beginning – yet it will be more nutritious for you. I’m not here criticizing any particular person or movement. I think it’s great that meditation and mindfulness are entering mainstream, even if in a simplified form. If people are being benefited, in the level that they need, from any practice or teacher, then that is good. It is a step on the way. I’m not saying this to make you feel bad about your meditation practice, either. No matter what, continue with it for as long as you breathe. At the same time, I feel that people need to be made aware that there is more depth to the practice, and that meditation takes a subtle (but constant) type of effort. Effort is needed to accomplish any result; it is a cause for an effect. If you don’t apply any effort, the tendency is for things to remain as they are, or to return to their nature. It’s the law of inertia. If you stop all effort in your body, after some time the body will be relaxed and quiet (and eventually will fall asleep). If you don’t do any effort in your mind, the mind will become more relaxed, yes, but it will not become completely quiet, empty and introverted. The reason for this is simple: the nature of the mind is to think, to imagine, and to remember (cognition, imagination, memory). Letting go of all effort will calm the mind to some extent, but it will not take you to the deeper states of meditation (unless you have already put a lot of effort in the past). Now, depending on your goals, the relaxation you get by this type of effortless approach to meditation might be all you want/need. From time to time you will “fall” in a state of silence, and it will be great. At other times you will engaged in thinking, but it will still be a calmer state than the usual state of your mind. On the other hand, if you wish to go deeper in meditation, and be able to “enter” into silence at will, you need to master the right type of effort. There is right effort (gentle, but firm, and in the right direction), and wrong effort (forceful, or in the wrong direction). Likewise, in meditation there is right effortlessness, which comes when the effort to regulate the attention/mind drops by itself, and is not replaced by thoughts, memories or imagination. And there is also “wrong” effortlessness, which is trying to take shortcuts, prematurely letting go of an exercise that has not yet borne fruit. Our true being is effortless; but our mind is in a constant state of making effort. This effort is often automatic, and we are mostly unaware of it. This is simply the nature of mind – mind is movement, creation, imagination (image-in-action?). You cannot make the mind move-less, but you can make it one-pointed. This is done by regulating the “eye” of the mind: attention. It will then be like a wheel spinning so fast that it looks like it’s not moving. For advanced practitioners that have cultivated the ability to enter into deep and perfect states of concentration at will (Samadhi), then meditation will be completely effortless. Until then, effort of some sort will be required to achieve anything deeper than mere relaxation and a calmer mind. Meditation is the effort to regulate attention. This is done either by constantly redirecting it to the object of meditation (focused attention meditation), or by paying attention to whatever perception naturally happens (open monitoring meditation). By time it culminates in “effortless presence”, or “pure being”. (More about this classification of meditation here). So, meditation involves a subtle form of effort – unless you are in very advanced stages. To learn how precisely to apply your efforts, you might enjoy reading the post on the process of meditation. Being “in the moment” is one of the effects of meditation (and also a requirement for it), but that’s not all that it’s about. You can be completely in the moment in other activities, like surfing or singing, but in meditation there are also other elements involved. Practicing to “be in the moment” is needed to help meditation deepen, and it’s also a fruit of the practice. But the meditative state involves other things. I wrote a little bit more about this subject in this answer. Calmness of mind is only one of the elements of meditation, and one of the results of the practice. Consciously pursuing to “calm the mind” is not effective; rather, it often generates more mental waves, and perhaps even some frustration and stress. And there is also no need to keep judging how well you are doing it. Just put forward your best effort. For every second that you stay with your meditation, for every time you refocus your attention, there is a sea of benefits – both in that moment and cumulatively, in your life. Mindfulness Meditation, where one pays attention to the breathing and bodily sensations, is one of the many types of meditation practice, and is a gateway leading to greater insight about oneself, and deeper/quieter states of consciousness. It comes from the Buddhist Tradition. In general, though, people also speak of mindfulness meaning the attitude of being in the present moment, non-reactively paying attention to one’s experience, rather than being engaged in the content of the mind. In this sense, it is more of a meditative attitude to have during all your activities. In the West this is taught dissociated from any spiritual concept or attitude, as a simple secular exercise that can help improve your health and effectiveness in work and personal life. Sometimes it is coupled with seated Mindfulness Meditation. People practice mindfulness for better health, emotional healing, and improved performance. Meditation, in all its variety, also brings those benefits, but it is also practiced for other purposes such as self-discovery, personal growth, and spiritual goals (inner freedom, enlightenment). In a Buddhist context, right mindfulness leads to (and supports) right meditation, and they are both part of the eightfold path. In a Buddhist context, right mindfulness leads to (and supports) right meditation, and they are both part of the eightfold path. Meditation practice may feel like taking a break from your routine, like time off for the mind. But meditation will also empower your daily life, and must continue after you rise from your cushion/chair. How you carry yourself in daily life can also be either helpful or unhelpful for deepening your practice. Both seated meditation and daily life practice are needed. By time, the freedom, peace and joy you find in meditation start to permeate your whole life. Not necessarily. You can meditate either with eyes opened or closed. Not necessarily. There are several types of meditation, many of which don’t use mantras. The only thing meditation and sleep have in common is the relaxation of the body and low metabolic rate. The biggest difference is that you are not conscious in sleep, while in meditation you are conscious, and sometimes in a state of super-consciousness. Sleep is a state of forgetfulness; meditation is a state of attentive awareness – open, calm, composed. I believe that technologies such as the Muse can help you by giving you immediate feedback on your brain, thus making you more aware of “what’s working” during your meditation practice, and also by gently nudging you back to meditation whenever you get distracted. However, you still need to put in the effort. I’m not aware of any device that can by itself produce a state of deep meditation on your brain; nor do I think we should be dependent on any “magic pill” to access our own consciousness. I have no fixed point of view about this, but wish to bring in some reflection to this controversial topic. Using the schema of Vincent Horn, I’d considered myself a “Maybe, But” or a “Psychedelic Agnostic”. The idea of using drugs to tap into altered states of consciousness is not new. For thousands of years the ancient mystics, priests, monks, and yogis (Yoga Sutras, 4.1~4.3) in India, China and South America have experimented with several methods of expanding consciousness and dropping illusions and conditioning. Through the study of Buddhist and Hindu contemplative traditions, however, we see that the emphasis is in meditation practice as the chief means, with many traditions actively discouraging the use of any herbs or substances. They have probably found them to be not as helpful for true awakening. However, modern day practitioners are again experimenting with psychedelics. I can’t speak of this from personal experience, as I have never tried any sort of drugs or psychedelics. 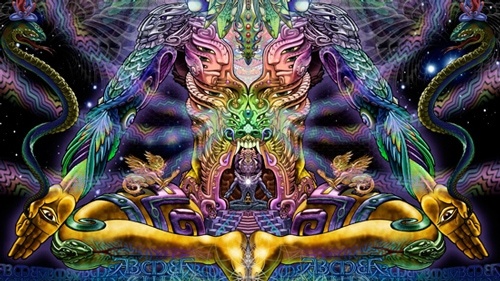 Yet, from my research and observation it seems that psychedelics may be able to help you open your mind about the existence of deeper realities/truths, and perhaps assist you to drop some negative mental patterns. In some cases it is the start of the contemplative journey. Undoubtfully, if it achieves that without considerable negative side effects, it is a great benefit. On the other hand, I’m personally skeptical that psychedelics can be of help in truly advancing in the path of meditation and higher stages of practice (for those seeking Enlightenment). For meditation, you need awareness, serenity, one-pointedness, and some self-control. Anything that weakens these qualities – by making you intoxicated, agitated, or making you lose hold of yourself – doesn’t really help in the long run. In higher states of meditation, the mind is in a state beyond all experience (internal or external); here, anything that excites the mind into experiencing or perception, however subtle or wonderful, would be a distraction. If you are attached to a romantic view about meditation, or you have strong expectations, meditation will be hard for you. Meditation is not a thing; it’s a process. This process brings several benefits, but is also its own benefit. Learn to enjoy the process. Let go of self-criticism, of comparison, and of expectations, as soon as they arise. Like this meditation won’t be hard – nor easy – but simply a enjoyable and wholesome process. Is your goal to enjoy better health, more focus, and less stress? Meditation won’t be hard. 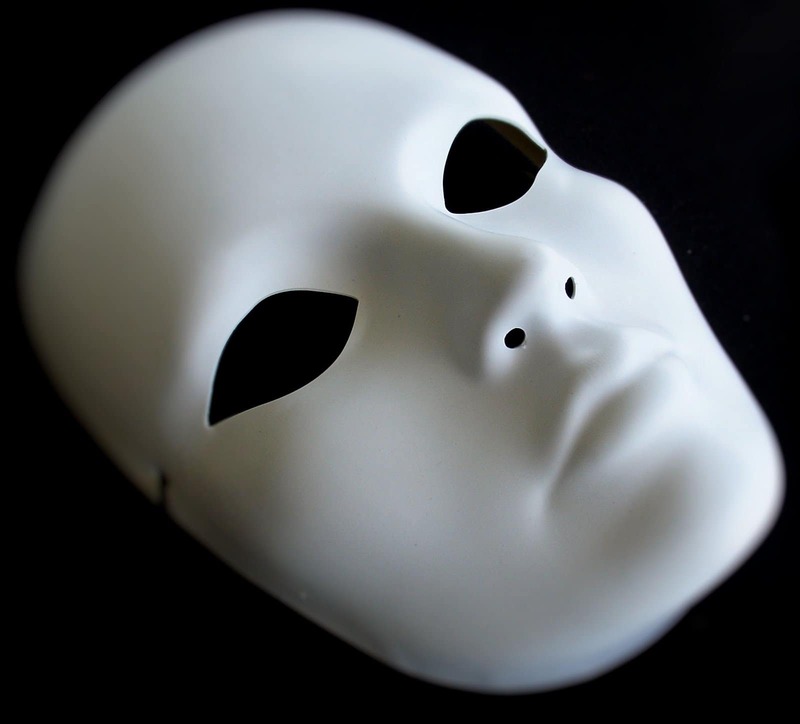 Is it to discover your true Self and bring about deep transformation? Then let your motivation take root, develop perseverance, and widen your time-frame. Meditation is not a thing; it’s a process. This process brings benefits, but is also its own benefit. No. There is no fight, no repressing, and no forcefulness about meditation. Fighting with thoughts (or any other type of mental impression, for that sake), will simply strengthen them, and lead you to an agitated state. The only thing we do in meditation is to consciously withdraw our attention from engaging with thoughts, by focusing it on something else. With this, the mind slowly calms down. Meditation is simply the process of continuously regulating attention. The emptying of the mind may happen as a result of that, but we should not be holding on to this expectation. We are not actively trying to “empty the mind”, but simply placing our attention in a single point, moment after moment. As a result, our consciousness gets stabilized and we arrive at a state beyond the mind. Imagine we are trying to get some work done, and suddenly some loud music starts playing next to us. The more we try to “stop hearing it”, the louder we make it be inside ourselves. But if we make an effort to focus our mind on something else, intensely, after some moments we have forgotten about the music. Don’t think about emptying the mind, or making it quiet. Simply follow the meditation instructions, and let everything else be. This is like saying that being fit is a requirement for going to the gym. Having a “calm mind” is definitely not a requirement to do meditation. Anybody can meditate. Therefore, don’t think that you cannot meditate because your mind is very restless. 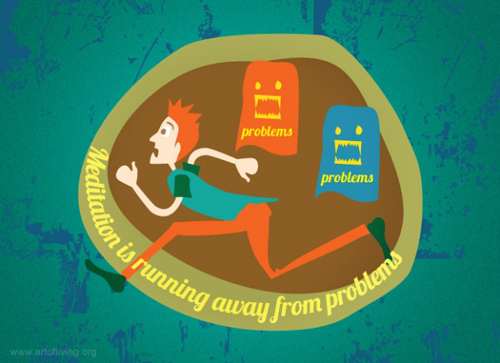 If your mind is agitated, there is even more reason for you to meditate! Besides, when you meditate for a while, you may see that, generally speaking, nobody has a “calm mind”. Everybody needs some meditation. Nobody has a really “calm mind”. Everybody needs some meditation. No. The essential element of the posture is keeping the spine absolutely straight, from your hips to your neck and head. As to the legs, you can sit cross-legged on a cushion if you like; otherwise a chair will do. Physical flexibility is not a requirement for meditation. Read more about postures here. Let me tell you a story. There was a boy who was so hyperactive, he could not sit down for more than a few minutes, either at school or at home. His mother could not take him anywhere without him breaking something or making a mess. He had so much energy, he didn’t know what to do with it. In the karate class, the teacher gave him the nickname “Duracell”. His favorite activities seem to be yelling, jumping, and getting into trouble. The neighbors had suggested shock therapy. And yet I grew up, and found meditation to be a great blessing. If you have ADHD or ADD, you need meditation. Yes, it will be harder for you. But, if you find a method that interests you, and perhaps a good teacher, you can learn to channel all that energy however you wish. What was once your shortcoming (when unmanaged) now becomes a great asset. Sorry, but I don’t believe you. Try this exercise: during one week, take note of all the unproductive time that you spend in front of a screen (TV, smartphone, or tablet). Now set aside 20% of that time for meditation, and you’ll be alright. There are busy executives who have not missed a meditation in years. If meditation becomes a priority in your life, you will find time for it. You can start with as little as 1~3 minutes a day. Some people even find that after they start meditating, they have more time in their lives. Suddenly they gain clarity on what is really important, and stop spending time on things that don’t truly serve them. In some types of meditation, some people report that these things happen. It’s not a requirement; rather, it’s usually a distraction. And it rarely happens, even if you are consciously seeking them. These things are not necessarily an indicative of progress in practice. How much more balanced, happy and peaceful you are is. Depending on your attitude towards the practice, you may feel like this. If you try meditation expecting to feel something fun or entertaining, you will find it boring. Don’t go towards meditation with a hungry mind, or with strong expectations. They will keep your experience in the surface. It takes time to develop optimal attitudes towards the practice; but, as much as possible, try to leave aside all expectations and “just do it”. It’s a little bit like going to the gym. If you look at it, running on the spot and pulling iron is not really exciting. If you only do it for the sake of the results (nicer body), it will be a constant battle between the desire for the result, and the unwillingness to through that boring and tough training. However, if you learn to enjoy the process itself – and desire to get better at it -, then you can easily keep at it, and have better results also. Honestly, depending on the meditation technique you try, that may happen in some stages. But it will pass. More often than not, you will experience the exact opposite: meditation gives you increases your power of focus and your “effectiveness”. Personally, meditation has never prevented me from doing anything in life. It has actually been a major force in me achieving career goals and financial goals in my life, and also of successfully migrating to Australia and building a new life here. Don’t worry, meditation will make you better at what is important for you. The practice will make you less of a slave to your emotions. You will gain greater perspective on them. You will know, experientially, that at any time you have the ability to follow the wave of emotion, or just let it be and hold your space. This is one of the aspects of this inner freedom that meditation brings you. It’s true, you will be less reactive – but in a good way. You won’t lose the capacity to feel. Actually, feelings are clearer than before. You simply start to operate from a deeper place inside yourself, a place that is larger than your emotions and concerns. This is another dangerous misconception. While it’s true that generally meditation will make you feel great, sometimes it may actually make you see painful things that you were previously ignoring. As your mind gets more quiet, and your looking more clear, you may see parts of yourself that are not pretty, and that need to be attended to. This will empower you to change what needs to be changed; or to just allow stale energies inside your being to evaporate. Let’s not put it in a box. It’s not “only about” anything. Different people practice it for different purposes. It’s up to you to decide/discover what meditation is about. Many practitioners feel like this, I too fell prey to this misconception for a while. You will still need to make use of these insights, this power of awareness, to make changes in your life, or in yourself. 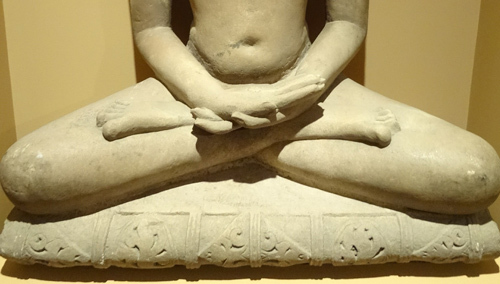 In Buddhist tradition, meditation (dhyana) is only one of the three pillars of practice. The other two are wisdom (prajna) and ethics (sila). Taking the insights and skills learned through meditation beyond the cushion is what I call Application—which is one of the Three Pillars of Meditation. Meditation will help you keep healthy, but you still need to have good diet and exercise. It will help you have better relationships, but you still need to do self-reflection and tweak your behaviors. It will help you grow as a human being, but you will still be challenged, day after day, with the need of making the right choices. It will give you a peak of enlightenment, but you will still need to be faithful to your seeing next time somebody steps on your foot, and the ego comes up. As meditation enters the mainstream, it’s unavoidable that many misconceptions will arise. Some of them will prevent people from starting meditation, while others will prevent them from going deeper into it. My mission in writing this was to help dispel the common obstacles to both of these. If you feel this post can help with that, please share it. And please leave a comment so I know you enjoyed it; I very much value connecting with my readers. Can Float Tanks Substitute or Deepen Your Meditation?